How do you feel about using hashtags on LinkedIn? Maybe you used them for a while and then stopped. The new LinkedIn Hashtag Communities are quietly rolling out on your desktop’s LinkedIn homepage and serve as a great way to share your content with more people using social media. The one place hashtags are extremely popular and useful is on Instagram. 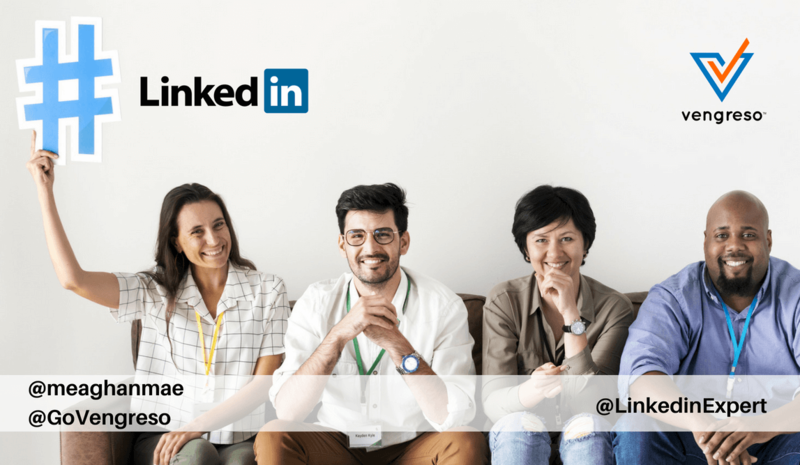 In this video, Viveka von Rosen, CVO at Vengreso explains how LinkedIn’s ‘Communities’ has a similar feel. It allows you to follow, share, and engage on strategic hashtags. When you click on a hashtag, you are presented with a list of relevant updates just like on Instagram and Twitter. Not everyone can see them yet, but you can expect to view Communities in the left sidebar of the LinkedIn homepage soon. When you’re getting started with LinkedIn Hashtag Communities, LinkedIn will suggest a few based on past activity on the platform. Develop a strategy around relevant hashtags for your personal brand. Do some research and find out what other popular hashtags you may want to monitor. It’s a great way to find prospects or other peers to connect with. Though you cannot create your own Community, there are plenty of relevant ones to discover and follow. If you’re looking for more valuable content from Viveka and Vengreso, check out the #SocialSelling Community. Following the LinkedIn Hashtag Communities that are relevant to you allows easy access for engaging with posts. When you start to write a post from within a Community feed, LinkedIn adds in the hashtag for you. Try using more than one hashtag in each post. Viveka, a.k.a. The LinkedIn Expert, recommends five or six common hashtags and one unique (or even branded) hashtag to help increase discovery of your content. Have you seen LinkedIn Hashtag Communities yet? Have you used them? What have your results been? Let us know in the comments below! 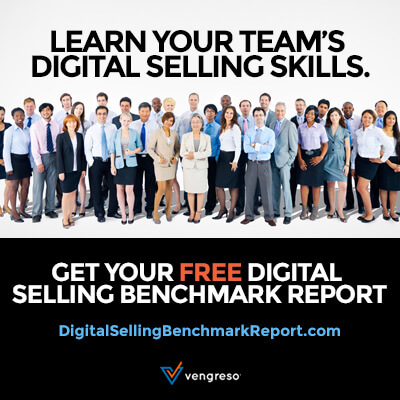 Request your free Digital Selling Benchmark Assessment Report for insights into your team’s digital selling skills!